The American Association for Community Dental Programs’ (AACDP’s) Lifetime Achievement Award for Outstanding Contributions in Community Dental Programs was first awarded to Myron Allukian Jr., D.D.S., M.P.H. To commemorate Dr. Allukian’s many outstanding contributions to oral health at the local, state, and national levels, this award has been named in his honor. It is presented to an individual who has shown outstanding lifetime achievement in community programs to improve oral health. Throughout the recipient’s career, outstanding contributions to and achievements in community dental programs to improve oral health. Exemplary programmatic and/or policy accomplishments, which have resulted in significant improvements in the community’s oral health. Exceptional and distinguished leadership and service in promoting community dental programs at the local, state, or national level. Neal A. Demby D.M.D., M.P.H. Harold S. Goodman, D.M.D., M.P.H. Paul Glassman, D.D.S., M.A., M.B.A.
Steven Uranga McKane, D.M.D., M.P.H., M.B.A.
Timothy R. Collins, D.D.S., M.P.H. 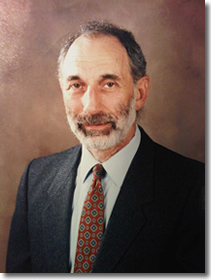 David A. Soricelli, D.D.S., M.P.H. Ron J. Nagel, D.D.S., M.P.H. Susan M. Sanzi-Schaedel, R.D.H., M.P.H. Major W. Tappan, D.D.S., M.P.H. Myron Allukian Jr., D.D.S., M.P.H.